When is the best time to travel to Laos? 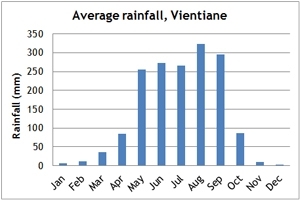 Laos' weather pattern is quite straight forward, with a dry season between October and April, and a wet season May to September. 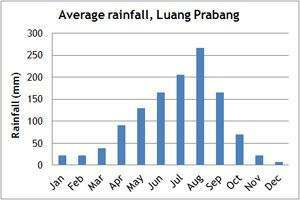 The best time to visit Laos is between November and February. 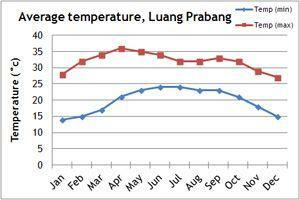 The temperatures tend to climb from February, reaching a high in April. 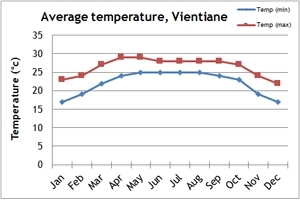 Our climate charts will give you a guide to the weather conditions in Laos. The monsoon rains are heavy, though can be short lived. Road travel can be problematic during the rainy season. Rivers are best navigated in November after the flooding has subsided but water levels are still high. If you can't make the dates of our group departures, then take a private departure on dates to suit you, or we can create a Tailor Made holiday to Laos, especially for you and your family or friends.